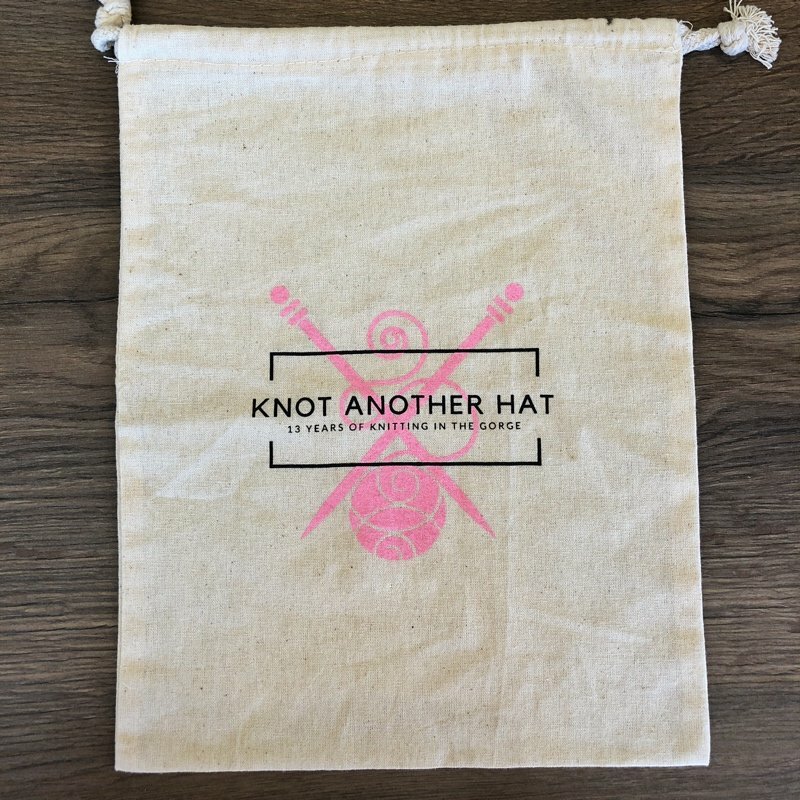 Limited edition muslin project bag, celebrating 13 years of Knot Another Hat! Measures approx. 9x12", drawstring closure.